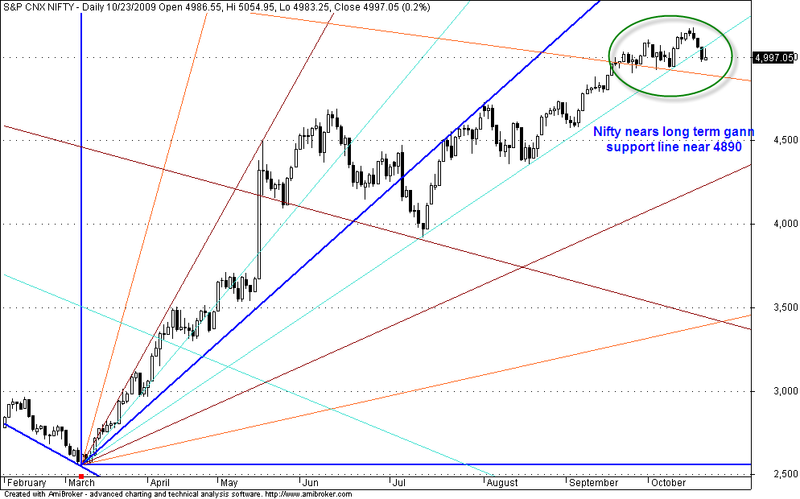 GANN FAN Principles are applied to long term nifty charts. Nifty nears long term gann support ternd line approximately very closer to 4890 which nifty is tring to hold since 18th Sep 2009. Failure to hold or bounce back from this levels is bearish. very Short term traders could use this point to long their trades in nifty with tight stop loss.